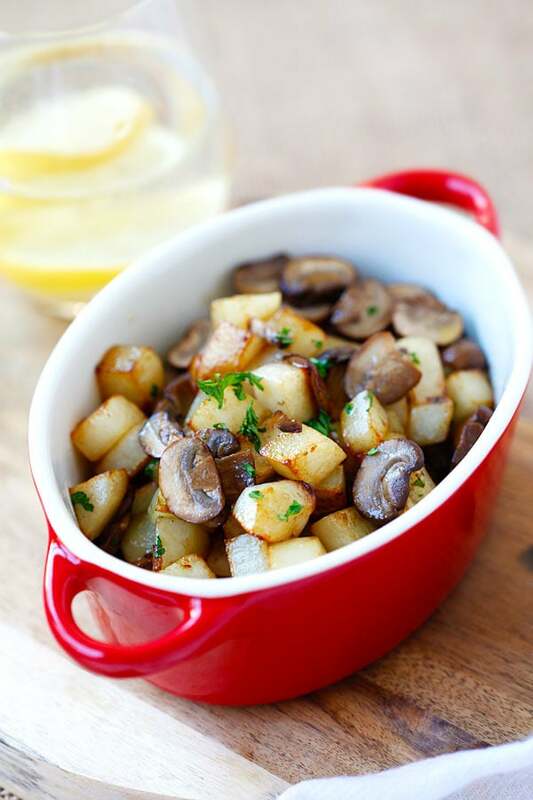 Butter Sauteed Potato and Mushroom - 15-min side dish of potato and mushroom sauteed with butter. Super easy, quick, yummy and only one pan to clean. 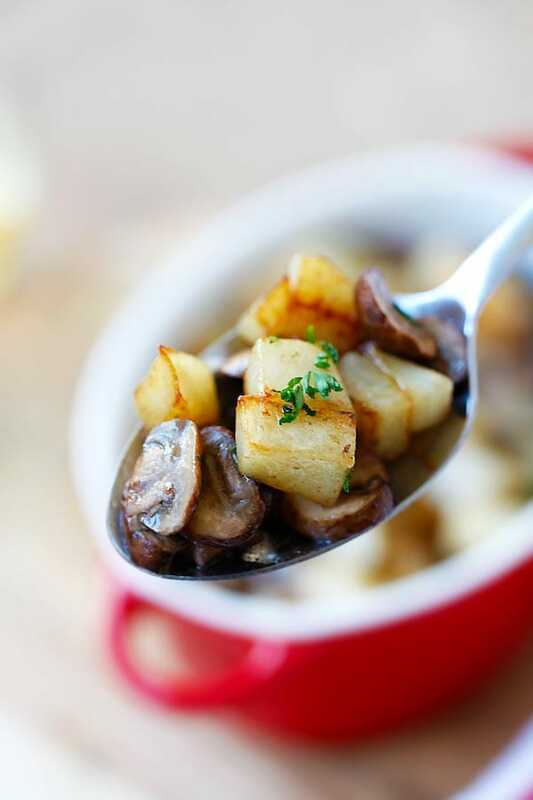 When you have a picky eater at home, you need a few secret weapons up your sleeves, and butter sauteed potato and mushroom is one of them. This dish is what little G calls “surprise,” ones that he only gets if he is a good boy and finishes all his dinner I put on his dinner plate. This “surprise” secret weapon never fails as he knows that he needs to finish his dinner before mama would bring out his beloved butter sauteed potato and mushroom dish. The best thing of all, it takes me about 15 minutes to make! 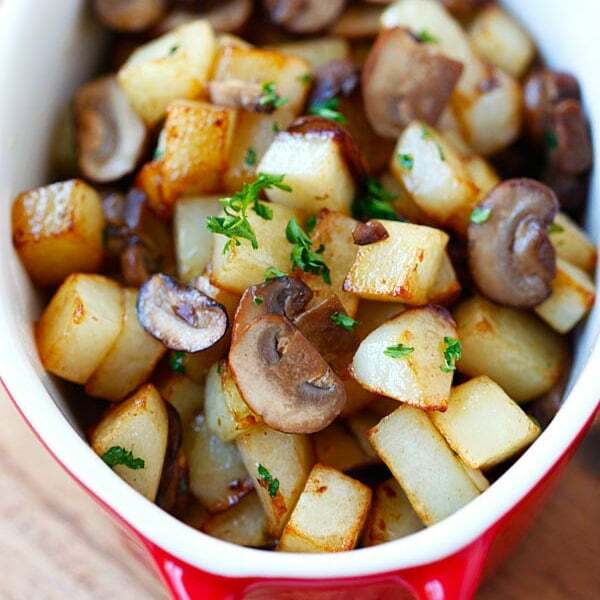 Most kids love potatoes and mushroom. Well, at least little G does. So combining two of his favorite ingredients into one, and sauteed only with butter and season with a wee bit of salt is a no-brainer dish for me to get him to finish his proper meal. 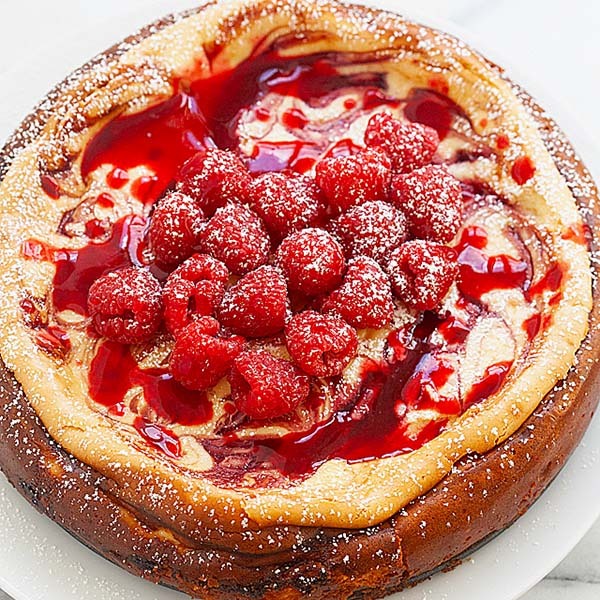 In fact, I have grown to love this dish so much that I would make an extra portion for myself and if he doesn’t finish his “surprise,” I would be happy to gobble it up. 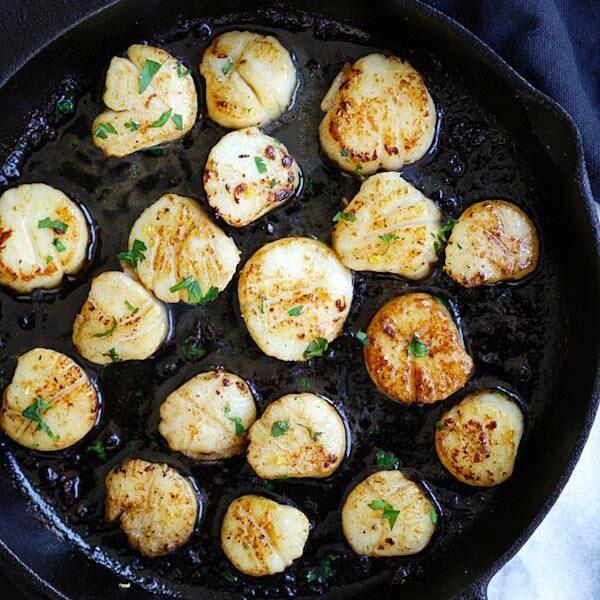 As simple as it sounds, I love the simple flavors—the buttery taste, the slightly charred potatoes, and the umami tasting mushroom. It’s absolutely delicious! 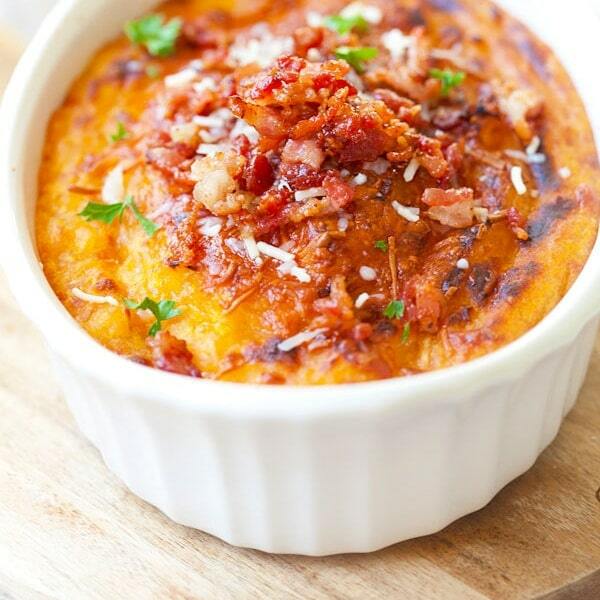 This is a great side dish to serve even if you don’t have little ones at home. There is no need to pre-heat the oven, roasting, just a saute pan or skillet, and 15 minutes later, you will have this amazing dish, and only one pan to clean. Make it today, I am sure that you and your family will be delighted. 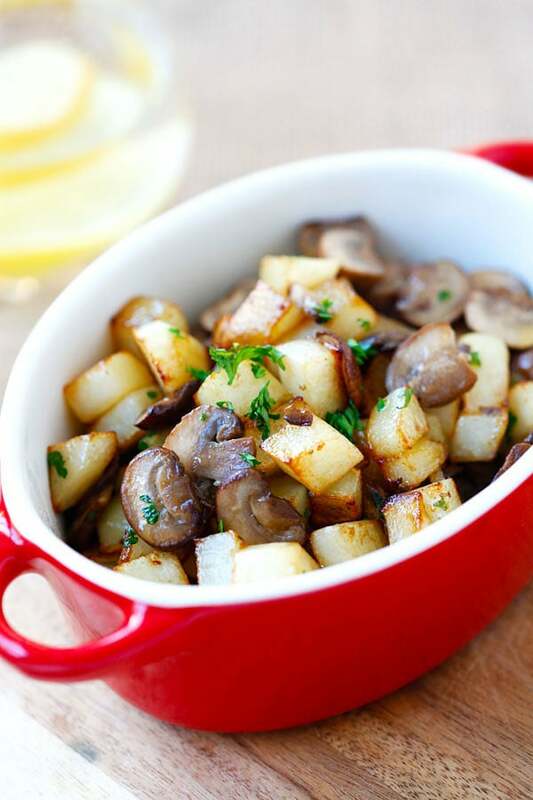 Butter Sauteed Potato and Mushroom – 15-min side dish of potato and mushroom sauteed with butter. Super easy, quick and yummy! Add 2 tablespoon butter to a saute pan or skillet on medium heat. Add the potato and saute until they turn slightly charred and light to golden brown color. Push the potato to one side. Add the remaining 1 tablespoon of butter and saute the mushroom. As soon as the mushroom is cooked, stir to combine both potato and mushroom. Add a pinch of salt and the chopped parsley. Stir to combine well. Dish out and serve immediately. All photos and recipes on Rasa Malaysia are copyright protected. Please do not use the photos and recipes without prior written permission. 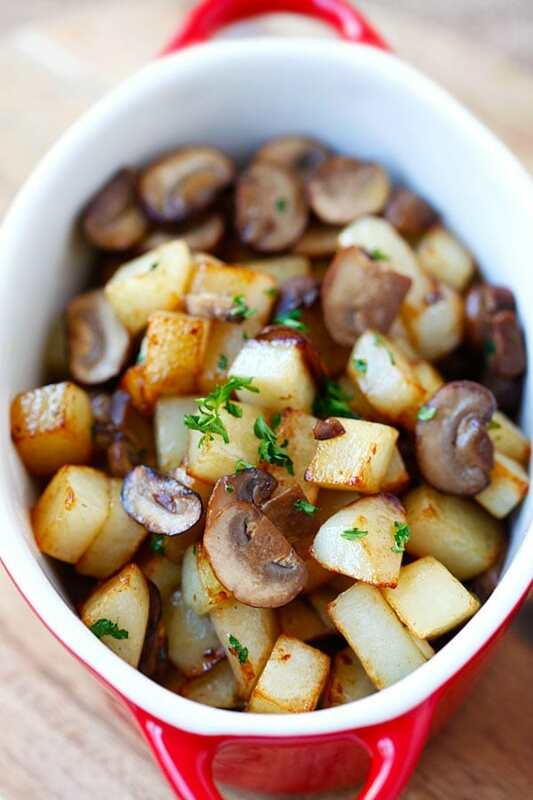 If you wish to republish this recipe, please rewrite the recipe in your own words instead of copy and paste and link back to //rasamalaysia.com/butter-sauteed-potato-and-mushroom/. Thank you very much! I think I owe my husband an apology. He wanted to add mushrooms to the home fries the other day but I wouldn’t let him because I was worried the kids wouldn’t eat them. But you say kids love mushrooms and spuds. So I’m going to give this a whirl. Loving it. Brown crispy edges. Yes please. Yes, the combination is good, who would have thought? I am addicted. I am keen to try this recipe over the weekend but I am just wondering if the potato will be well cooked with just the butter. Should we add water ….just afraid it will burn. Fantastic. 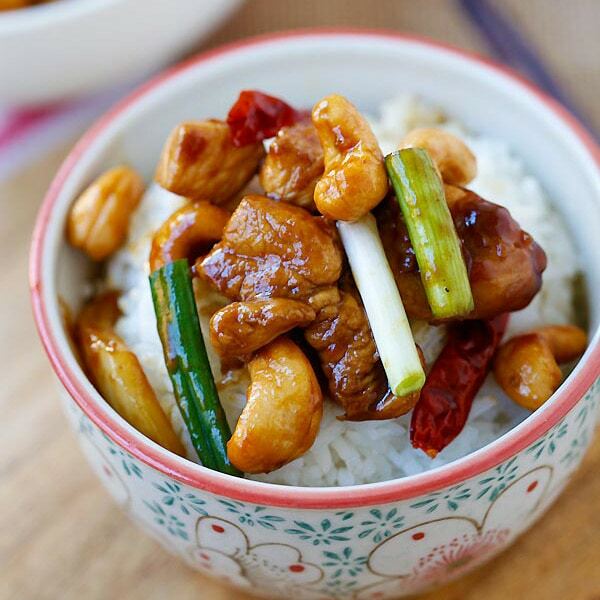 A very simple but yet tempting dish. How many potatoes and mushrooms are you supposed to use? Really liked this though I did add chopped bacon and red onions. It was really easy to make and tasty. Also added Italian seasoning.